Diabetes and Endocrinology, Gartnavel Diabetes Centre, Gartnavel General Hospital, Glasgow, NHS Greater Glasgow & Clyde, UK. Introduction and aims: Diabetes, and hypoglycaemia in particular, are common conditions. This study sought to determine whether inpatient hypoglycaemic episodes were treated according to protocol in the hospital environment, to investigate the presence of modifiable risks factors for recurrent hypoglycaemia and to identify whether these were addressed following specialist advice. Methods: A randomly chosen sample of unique individuals with recorded capillary blood glucose (CBG) <4mmol/L and diabetes, who were admitted to Queen Elizabeth University Hospital Glasgow, were reviewed by a project nurse specialist between 1 August 2016 and 1 August 2017. Demographic data, prescribed medicine and hypoglycaemia treatment were recorded. Advice was given according to protocol, with the aim of reducing the frequency of further hypoglycaemia episodes. Predischarge concordance with this advice was recorded. Results: Overall, 223 hypoglycaemic episodes were investigated during the one-year period. The median interquartile range CBG was 3.3mmol/L and the median age of patients was 69 years. Of the 223 patients, 172 had type 2 diabetes mellitus, 38 had type 1 diabetes mellitus and 13 had secondary diabetes mellitus. Of these, 129 patients were insulin treated and 81 received a sulphonylurea. Hypoglycaemia was treated in 152 cases (68%), 119 (53%) of which were treated according to local protocol. The project nurse identified 205 post-episode management decisions to reduce the burden of hypoglycaemia. Increased CBG monitoring was advised in 201 cases (90%). Diabetes therapy alteration was advised for 149 patients (67%). Advice was given to decrease insulin dose in 81 patients (36%), stop insulin for 13 patients (6%), decrease sulphonylurea dose in 22 patients (10%) and stop sulphonylurea in 24 patients (11%). Overall, 49 of 149 recommended treatment changes were enacted prior to discharge (32%). Discussion and conclusions: Acute management of in-hospital hypoglycaemia was suboptimal. Multiple opportunities for intervention to reduce the recurrence of inpatient hypoglycaemia were identified, but advice given was infrequently followed. Proactive specialist advice triggered by remote review of CBG could reduce the burden of hypoglycaemia, but therapy changes might be better made by a specialist team directly rather than just being advised. Keywords: Capillary blood glucose; diabetes; hospital admissions; hypoglycaemia; inpatient; nurse; pharmacy. Original submitted:27 November 2017; Revised submitted:7 June 2018; Accepted for publication:17 July 2018; Published online: 7 August 2018. Inpatient hypoglycaemia is a common problem and treated suboptimally. This study demonstrates the presence of many potential factors associated with hypoglycaemia that could be targeted for beneficial intervention. Advice given by a diabetes outreach service is not always followed. An expanded role of hospital pharmacists should be studied to evaluate contribution to burden reduction of inpatient hypoglycaemia. In 2016, the National Diabetes Inpatient Audit estimated that 17% of hospital inpatients have diabetes. Diabetes has been shown to negatively impact both mortality and length of hospital stay in a variety of medical and surgical settings,. Blood glucose monitoring is performed routinely in hospital to manage patients at risk of hyperglycaemia and hypoglycaemia. Hypoglycaemia, defined as capillary blood glucose (CBG) <4mmol/L, is a common and significant cause of hospital admissions and in-hospital complications for people with diabetes, incurring significant increases in pre- and post-discharge morbidity and mortality, and increased length of stay,. In the UK, 23% of inpatients with diabetes experience hypoglycaemia while admitted. In Scotland, 16% of all hospital episodes where CBG was reviewed found at least one patient with hypoglycaemia. Regular blood glucose assessment, rapid identification and facilitating timely targeted care is, therefore, vital. Diabetes — in particular hypoglycaemia — is suboptimally managed in hospital environments, with vigilance and management of complications varying between therapy modality,. Notable discrepancies in treatment have been demonstrated between patients receiving insulin, sulphonylurea and other treatment options. Those receiving insulin or sulphonylurea therapy are often most vulnerable to hypoglycaemia and the associated causes of subsequent morbidity and mortality,,. Detection and treatment of hypoglycaemia in hospital is often nurse-led, with assistance from auxiliary healthcare professionals in blood glucose measurement, where their input is usually only sought in more severe circumstances, requiring further management. Currently, local specialist inpatient diabetes services work reactively, relying on hospital-based healthcare professionals to alert them that a patient may require input. Hospital pharmacy staff will often play a pivotal role in daily inpatient management, detecting and enacting need for therapy modality and dose changes, triggering medical review of management and advising alternate strategies, following review of patient CBG and current treatment. This study sought to determine whether inpatient hypoglycaemic episodes were treated according to protocol, investigate the presence of modifiable risks factors for hypoglycaemia and identify whether these were addressed following specialist advice. This study was conducted at the Queen Elizabeth University Hospital Glasgow in Scotland — a tertiary teaching hospital serving a population of around 1.2 million people. NHS Health Research Authority guidance deemed that ethical approval was not required as this research involved previously collected information that was accessed and disseminated for the purposes of service improvement. A random sample of unique individuals with recorded CBG <4mmol/L and diabetes were chosen each week during the period between 1 August 2016 and 1 August 2017 and reviewed by a project nurse specialist. Demographic data, prescribed medicine and initial ward hypoglycaemia treatment were recorded for each case. International convention has changed since the investigation began, redefining the threshold of hypoglycaemia as <3mmol/L (54mg/dL). At the time of this study, <4mmol/L (72mg/dL) was employed as inclusion criteria, in concordance with local treatment protocol and established national inpatient standards. Prospective patients for appraisal of hypoglycaemia response were identified using the ’Abbott QCM3 Point of Care Database’, following an episode of hypoglycaemia. On the morning of each study day, the project nurse identified all patients within the centre whose blood glucose levels dipped below 4mmol/L in the previous 24-hour period. Patients presenting in intensive care, coronary care, high-dependency, paediatric and obstetric wards were excluded owing to unstable and more closely monitored physiology, and because of established higher level care requirements. All patients had only one single recorded episode of hypoglycaemia. Any duplicate patient entries were each carefully excluded before data analysis was undertaken. In cases of multiple hypoglycaemia entries per patient, the first recorded instance was kept and later entries removed before analysis. Patients were randomised using Community Health Index (CHI) numbers, which are unique ten-digit patient identifiable numbers given to all patients in Scotland, generally made up of their date of birth and four further digits. The first six patients were selected using the sixth digit from the CHI number, tiebreaking at the seventh digit if necessary. The lowest sixth digit was patient number one, the next lowest sixth digit constituting patient number two, and so on. As such, for example, a patient with CHI number 0 would be the first selected patient for survey. All patients with blood glucose levels below 4mmol/L (72mg/dL) occurring in the previous 24-hour period were randomised, seen by the project nurse and included in data analysis of hospital ward response to initial episode and subsequent advice. Protocolled advice was given following judgement by the project diabetes specialist nurse (see Box 1), who was trained in hypoglycaemia management with the aim of reducing further incidences of hypoglycaemia. Advice included medicine changes, referral to a specialist diabetes service or CBG monitoring. Advice on drug changes was individualised to the patient, often consisting of combinations of reduction of insulin dose and reduction or discontinuation of oral sulphonylurea therapy. Monitoring advice was also given on an individual basis (e.g. increasing pre- or post-meal checks and surveying before bedtime). Signpost to appropriate specialist follow-up. More than one advice point may have been given to staff for an individual patient. Concordance with drug change advice was later reviewed on revisiting ward and reviewing patient notes and prescribing documentation. Patients were electronically referred to the diabetes ‘Team of the Week’ when referral was advised. This consisted of an inpatient diabetes specialist nurse and a diabetes consultant who were able to review the patients on the ward, unless they were already under admission or follow-up care of a consultant diabetologist. In this instance, discussion with the relevant clinician was advised. Any patients with cystic fibrosis (CF) requiring referral had their case directed to a predesignated CF diabetes specialist nurse, following a well-established pathway. Medicine change advice and other general advice points on hypoglycaemia treatment were verbally communicated by the project nurse to the hospital ward nursing staff, instructing that the advice be passed to all healthcare professionals involved in care of the patient. Other healthcare professionals were present at the time of the project nurse ward visit, for example on ward rounds when the same advice would be verbally repeated to them so they could record it in the patient’s case notes on behalf of the project nurse. Advice was recorded on the case notes by the project nurse only when no medical or nursing professionals were available to receive advice. Otherwise, the advice was always documented on the case notes and passed on to available medical professionals. If medical professionals were unavailable, the nursing staff were informed. If no medical professionals or case notes were available, the project nurse had to assume that nursing staff would record the advice at a later time. Assessment of whether advice on changes to medicine was enacted was made by reviewing case notes and drug charts after discharge. An episode was classified as ‘no change made’ if change was not enacted within 48 hours or by discharge, depending on which came first. Predischarge staff concordance with this advice was recorded, alongside methods chosen for subsequent management, relevant accompanying biochemistry values and estimated glomerular filtration rate (eGFR)-categorised renal function. Recorded data also included the time that patients had received ‘trolley’ or ‘non-trolley’ food prior to hypoglycaemia occurrence. The food and medicine relationship was not a formally tested, separate component of intervention; however, in every instance of hypoglycaemia, the project research nurse reviewed what the patient had eaten earlier, including timing in relation to medicines. This was part of every retrospective assessment of a hypoglycaemic event. In addition, the project research nurse spoke to catering staff at the outset of the project to ascertain meal times for each hospital ward and whether they met their standards in terms of delivery times/delays. Data were recorded in Microsoft Excel, subdivided and analysed to assess variance between diabetes disease types and prescribed medicine regimens in hypoglycaemia treatment and wider management. Staff concordance to project nurse specialist advice was also compared among groups to assess success in subsequent management and efficacy of intervention. Over the year, 223 hypoglycaemia episodes were investigated (see Figure 1). The median interquartile range (IQR) CBG of the sample was 3.3mmol/L (2.9–3.7mmol/L). Of the values available, the median (IQR) pre-hypoglycaemia value was 9.2mmol/L (5.9–14.2mmol/L) and the post-hypoglycaemia value was 6.0mmol/L (4.3–10.0mmol/L). The distribution of initial glucose, shown as capillary blood glucose at first hypoglycemic episode, against the total number of episodes in the 12-month period. The median age of the sample was 71.0 years (59.5–80.0 years) with a median HbA1c value of 63.0mmol/mol (48.5–80.0mmol/mol). When looking at hypoglycaemic episodes by diabetes type, most occurrences were for type 2 diabetes mellitus (T2DM) at 172 (77%), followed by type 1 diabetes mellitus (T1DM) at 38 (13%) and secondary diabetes mellitus (DM) at 13 (6%). Patients were classified as having secondary DM where the disease was attributable to CF complications or pancreatic causes, such as pancreatitis. Liver disease was recorded in 21 patients (9%) with a median eGFR value of 55mL/min/1.73m2 (30–60mL/min/1.73m2) and 131 pateitnes (56%) of patients had chronic kidney disease at stage 3 or above. Further key demographic data are listed in Table 1. The original categorised admission reasons for diabetic inpatients who went on to encounter hypoglycaemia during admission are included in Figure 2. It is worth noting that 5% of patients were originally admitted on account of hypoglycaemia at presentation. The key demographics of our sampled patient population encountering in-hospital hypoglycaemia. Measures of age and index CBG (at time of hypoglycaemia) expressed as median values, shown according to total population and diabetes type subgroups. Measures of those receiving insulin, sulphonylurea and other therapy modalities (metformin, dipeptidyl peptidase-4 inhibitors, sodium–glucose cotransporters and glucagon-like pepide-1 analogues) expressed as percentages of total population and diabetes type subgroups. Of those experiencing hypoglycaemia, the percentage of patients exposed to different treatment modalities at time of inclusion can be seen in Table 2. The median age of patients with T1DM was 50.0 years (38.0–66.5 years) versus 75.0 years (66.0–81.0 years) in T2DM and 35.0 years (30.0–47.0 years) for patients with secondary DM. The median CBG for patients by diabetes type was 3.0mmol/L (2.6–3.4mmol/L) for T1DM, 3.5mmol/L (3.0–3.7mmol/L) for T2DM and 3.2mmol/L (2.9–3.8mmol/L) in secondary DM. For patients receiving insulin, the median (IQR) CBG was 3.2mmol/L (2.8–3.6mmol/L) versus 3.6mmol/L (3.2–3.7mmol/L) in those taking sulphonylurea medication. Of values available, the median pre-hypoglycaemia index CBG for those receiving insulin was 10.8mmol/L (6.4–17.1mmol/L), and 9.7mmol/L (6.0–13.1mmol/L) in those receiving sulphonylurea medication. The median post-hypoglycaemia index CBG was 6.4mmol/L (4.5–10.0mmol/L) and 4.6mmol/L (3.8–8.3mmol/L) for those receiving insulin and sulphonylurea, respectively. Median time of day of hypoglycaemia recording was 06:39 (05:48–07:09), in part influenced by ward systematic checks occurring early in the morning (from 06:00). Hypoglycaemia was identified at a median (IQR) time of 13.0 (10.0–14.0) hours after trolley-food consumption, and 10 patients (4%) had accessed non-trolley food, a median of 10.5 (5.8–11.8) hours before hypoglycaemia. The main clinical reason for admission to hospital, as a percentage of total admissions. Hypoglycaemia was treated in 152 of 223 (68%) patients, 119 (53%) of which were treated with oral carbohydrate as per the local protocol. Action was taken for 96 of the patients (74%) receiving insulin and 58 of the patients (72%) taking sulphonylurea medi­cation. A total of 32 patients (84%) with T1DM received treatment for hypoglycaemia, compared with 112 patients (65%) with T2DM, and 8 patients (62%) with secondary DM. Initial management decisions regarding hypoglycaemia were nurse-led in 205 cases (92%), with a median of one corrective action required, where active treatment was chosen. This usually constituted administration of protocolised carbohydrates, received by 119 patients (53%). The number of patients that required more than one intervention was 48 (22%). As shown in Figure 3, 66 patients (30%) were treated outside of protocol, 21 patients (9%) received intravenous glucose therapy and 1 patient (0.4%) required glucagon. The type of treatment (if any) given for the initially recorded hypoglycaemic episode. In total, 66 patients (30%) did not receive any initial management, 101 patients (45%) received one corrective initial intervention for hypoglycaemia, 45 patients (20%) received two and 5 patients (2%) received three corrective interventions, respectively. Initial management was not recorded for six patients (3%). As recommended by the study nurse, 149 patients (67%) had a post-episode change in diabetes therapy. Increased CBG monitoring was advised for 201 patients (90%) and referral to specialist service for ongoing advice was recommended for 112 patients (50%). Advice given was to decrease insulin dose in 81 patients (36%), stop insulin in 13 patients (6%), decrease sulphonylurea dose in 22 patients (10%) and stop sulphonylurea in 24 patients (11%). As a result, 49 of the 149 recommended treatment changes (32%) were enacted. Alternative therapy change measures were taken in 33 cases (15%) (see Figure 4). The type of advice (if any) given by the project nurse in an attempt to reduce risk of subsequent hypoglycaemia. In the cases where a patient was taking sulphonylurea medication, 66 patients (81%) had a form of drug change advice given. Similarly, of those receiving insulin, 94 patients (73%) received drug change advice. In the cases where the sulphonylurea patients received advice, 39 (59%) were later acted upon, with 26 (32%) receiving alternative management. Of those receiving insulin, only 18 cases (19%) were later concordant with specialist advice, alongside 11 cases (9%) undergoing alternative changes. Acute management of in-hospital hypoglycaemia was suboptimal. Multiple opportunities for intervention to reduce the recurrence of inpatient hypoglycaemia were identified; however, the advice given was infrequently followed. Proactive specialist advice triggered by remote review of CBG could reduce burden of hypoglycaemia, but therapy changes may be better made by a specialist team directly, rather than just advised. A follow-up study would be useful to determine if patients whose clinical teams received and demonstrated concordance with post-episode advice later demonstrated a lower risk of recurrent hypoglycaemia, compared with those without. A large proportion of hypoglycaemic episodes are known to occur overnight. As many incidences of hypoglycaemia were detected in the morning period, this article demonstrates that many patients may benefit from increased overnight CBG monitoring. Raising awareness of this and increasing frequency of overnight CBG measurement in high-risk patients could reduce the burden of hypoglycaemia. Across inpatient care, a significant number of hypoglycaemia episodes were not treated to established protocol. This has potential to cause significant harm to the patient. Formalising the role and presence of inpatient diabetes specialist outreach services to increase access to expert advice could be a valuable change to current practice,,. It appears that when specialist advice is only given verbally to teams, it is often not recorded or subsequently taken, limiting or entirely preventing potential improvements. Advice written on the case notes as formal recommendations may be actioned more often. To substantiate this, a more rigorous process of follow-up reviews by specialist teams may be required through the duration of admissions, ensuring concordance and improved outcomes. Advice concordance varied between modalities of diabetes therapy, with relative reduction among insulin patients, indicating that further education is required regarding the importance of hypoglycaemia awareness and treatment for all patient groups — particularly for consideration in those receiving insulin. The training and availability of specialist diabetes nurse prescribers in particular has been shown to be highly valued, owing to delivery patient empowerment and autonomy through shared decision-making and self-care education, working with clinicians and reducing prescribing errors and subsequent length of stay. If diabetes specialist teams changed from an advisory role to proactively enacting changes, this could ensure appropriate action is taken; however, it would also have considerable resource implications and may de-skill hospital ward teams. One solution to suboptimal inpatient diabetes care could be developing the input of hospital pharmacists in diabetes management. Increased involvement of pharmacy staff may include communicating with specialist services, leading ward education on hypoglycaemia and reviewing CBG (alongside other medicines) on a regular basis and ensuring appropriate changes are made to therapy when iatrogenic hypoglycaemia occurs. An expanded role of hospital pharmacists should be studied to evaluate its contribution to burden reduction of inpatient hypoglycaemia, including consideration of where they would be appropriately supported and trained concerning ward outreach and education. Developing the involvement of hospital pharmacists could complement currently available specialist outreach services, providing local support to ward doctors and allied healthcare professionals in tackling common in-hospital diabetes complications. This could be achieved through enhanced scrutiny of prescribing policy, and more stringent application and monitoring of patient ‘sick-day’ rules where appropriate. This would confer an additional layer of security in protecting the welfare of the patient. Pharmacists could also work more closely with patients themselves, in a mentorship capacity, developing the individual’s understanding of their condition, treatment, prescribed therapy requirements and the importance of concordance. Pharmacists hold an integral place within the multidisciplinary team (MDT). This role could be best utilised by using MDT meetings to tackle any identified issues with ward teams and convert any identified instances of inaction or error as valuable group learning experiences. Furthermore, pharmacists could contribute to department and trust-level safety huddles regarding timeliness of rescue actions taken and local or systemic issues identified in relation to the management of patients with diabetes and associated instances of hypoglycaemia. To develop understanding further, it would be useful to separately investigate severe and non-severe hypoglycaemia cases. These two scenarios carry different implications for patient morbidity and mortality. Therefore, immediate management, specialist advice, physician or pharmacist requirements and accompanying risks of recurrence should be considered in contrast. A follow-up study would be beneficial to further investigate inconsistencies in hypoglycaemia treatment while evaluating efficacy of specialist outreach and follow-up mechanisms. Ensuring a high standard of in-hospital diabetes management, with a focus on correctly treating and avoiding hypoglycaemic episodes, could significantly reduce related morbidity and mortality. This study demonstrated how common inpatient hypoglycaemia is, highlighting its suboptimal treatment in the majority of cases. Many factors are associated with the development of hypoglycaemia, with many presenting opportunities that could be targeted for beneficial interventions. Furthermore, advice given to a patient by a diabetes outreach service is not always followed. This presents an opportunity and could support the development of an expanded role for hospital pharmacists to support the care of these patients. This opportunity should be studied to evaluate contribution to burden reduction of inpatient hypoglycaemia. 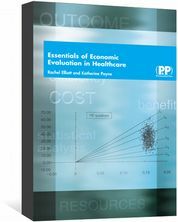 The authors would like to thank Sarah Landells and Stephanie Harvey of the Lilly Quality Improvement team for their help with this project. This project was carried out in collaboration with Lilly UK under a joint working agreement. Lilly provided project management support via its quality improvement team, and 50% funding of the two-day per week project nurse post. The authors have no other relevant affiliations or financial involvement with any organisation or entity with a financial interest in, or financial conflict with, the subject matter or materials discussed in this manuscript. No writing assistance was used in the production of this manuscript. Chaplin S. Findings of the national diabetes inpatient audit 2016. 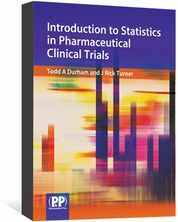 Prescriber 2017;28(7):24–26. Holman N, Hillson R & Young RJ. Excess mortality during hospital stays among patients with recorded diabetes compared with those without diabetes. Diabet Med 2013;30(12):1393–1402. Daultrey H, Gooday C & Dhatariya K. Increased length of inpatient stay and poor clinical coding: audit of patients with diabetes. JRSM Short Rep 2011;2(11):83. Arnold P, Scheurer D, Dake AW et al. Hospital guidelines for diabetes management and the joint commission–American Diabetes Association inpatient diabetes certification. Am J Med Sci 2016;351(4):333–341. Seaquist ER, Anderson J, Childs B et al. Hypoglycemia and diabetes: a report of a workgroup of the American Diabetes Association and the Endocrine Society. Diabetes Care 2013;36(5):1384–1395. Tan HK & Flanagan D. The impact of hypoglycaemia on patients admitted to hospital with medical emergencies. Diabet Med 2013;30(5):574–580. Turchin A, Matheny ME, Shubina M et al. Hypoglycemia and clinical outcomes in patients with diabetes hospitalized in the general ward. Diabetes Care 2009;32(7):1153–1157. Jones GC, Khan J & Sainsbury CAR. Is all hypoglycaemia treated as equal? An observational study of how the type of diabetes and treatment prescribed prior to admission influences quality of treatment of inpatient hypoglycaemia. Acta Diabetol 2017;54(3):247–250. Jones GC, Casey H, Perry CG et al. Trends in recorded capillary blood glucose and hypoglycaemia in hospitalised patients with diabetes. Diabetes Res Clin Pract 2014;104(1):79–83. Hart SP & Frier BM. Causes, management and morbidity of acute hypoglycaemia in adults requiring hospital admission. QJM 1998;91(7):505–510. Rando L, Keith C, Sardjono DA et al. Diabetes ward management — room for improvement. J Pharmacy Prac Res 2004;34(2):95–99. Tomky D. Detection, prevention and treatment of hypoglycemia in the hospital. Diabetes Spectr 2005;18(1):39–44. Rajendran R & Rayman G. Serious harm from inpatient hypoglycaemia: a survey of hospitals in the UK. Diabet Med 2014;31(10):1218–1221. .
 MacLeod KM, Hepburn DA & Frier BM. Frequency and morbidity of severe hypoglycaemia in insulin‐treated diabetic patients. Diabet Med 1993;10(3):238–245. van Dalem J, Martijn CG, Stehouwer CDA et al. Risk of hypoglycaemia in users of sulphonylureas compared with metformin in relation to renal function and sulphonylurea metabolite group: population based cohort study. BMJ 2016;354:i3625. Davies M, Dixon S, Currie CJ et al. Evaluation of a hospital diabetes specialist nursing service: a randomized controlled trial. Diabet Med 2001;18(4):301–307. Smith M. Pharmacists’ role in improving diabetes medication management. J Diabetes Sci Technol 2009;3(1):175–179. International Hypoglycaemia Study Group. Glucose concentrations of less than 3.0 mmol/L (54 mg/dL) should be reported in clinical trials: a joint position statement of the American Diabetes Association and the European Association for the Study of Diabetes. Diabetes Care 2017;40(1):155–157. Kerry C, Mitchell S, Sharma S et al. Diurnal temporal patterns of hypoglycaemia in hospitalized people with diabetes may reveal potentially correctable factors. Diabet Med 2013;30(12):1403–1406. Rajendran R, Round R-M, Kerry C et al. Diabetes patient at risk score — a novel system for triaging appropriate referrals of inpatients with diabetes to the diabetes team. Clin Med 2015;15(3):229–233. .
 Torjesen I. Lack of specialist diabetes teams in hospitals is “absolutely disgraceful,” says NHS clinical lead. 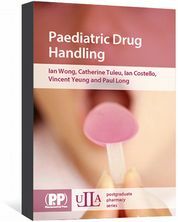 BMJ 2012;344:e3449. George JT, Warriner D, McGrane DJ et al. Lack of confidence among trainee doctors in the management of diabetes: the trainees own perception of delivery of care (TOPDOC) diabetes Study. QJM 2011;104(9):761–766. Pozzuoli GM, Laudato M, Barone M et al. Errors in insulin treatment management and risk of lipohypertrophy. Acta Diabetol 2018;55(1):67–73. Courtenay M, Stenner K & Carey N. The views of patients with diabetes about nurse prescribing. Diabet Med 2010;27(9):1049–1054. Courtenay M, Stenner K & Carey N. An exploration of the practices of nurse prescribers who care for people with diabetes: a case study. J Nurs Healthc Chronic Illn 2009;1(4):311–320. Carey N, Courtenay M, James J et al. An evaluation of a specialist nurse prescriber on diabetes in-patient service delivery. J Clin Nurs 2008;17(12):1635–1644. 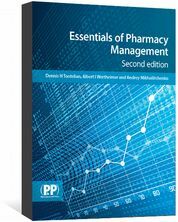 Essentials of Pharmacy Management is an accessible introduction to management. It provides a jump-start to leadership roles and career advancement. 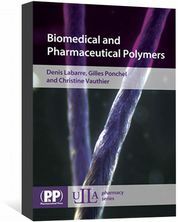 The only book for graduate or postgraduate students offering an introduction to polymers in a biomedical and pharmaceutical context.